John A. Liebert MD, William J. Birnes JD PhD, "Psychiatric Criminology: A Roadmap for Rapid Assessment"
Since the shutdown of our public psychiatry system, the seriously mentally ill are now mostly managed by public safety officers, school officials, emergency first responders and social workers with little experience in recognizing symptoms, triggers and issues. 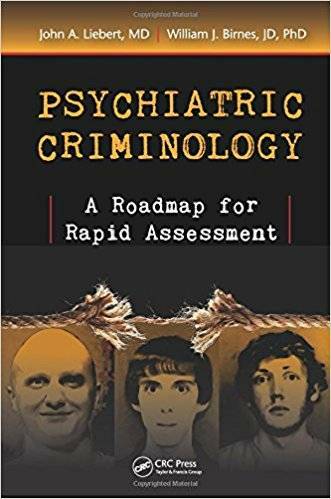 This book addresses the need to recognize the psychiatric component of criminological issues and the methodology of dealing with it on a practical as well as academic basis. It provides a roadmap for training in rapid assessment built on evidence-based emergency psychiatry protocols.